Select any of the topic buttons below to expand or collapse a full list of answers to frequently asked questions about this study. Why is I-25 South a Priority? 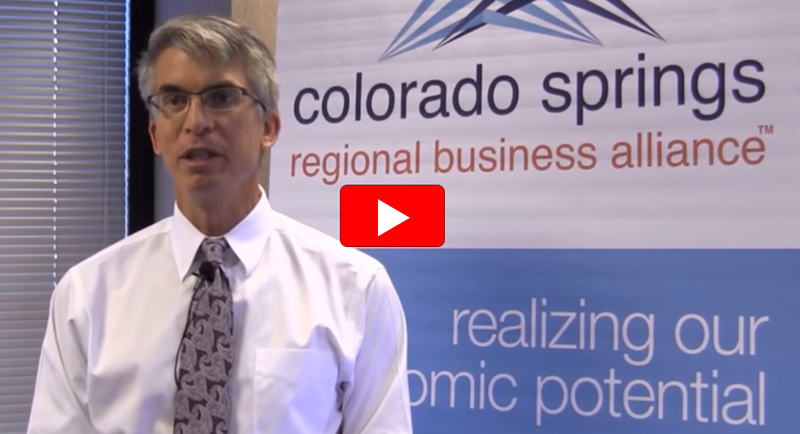 What is the importance of the I-25 corridor? Eighty percent of the approximately 5.5 million residents of Colorado are connected via I 25, which extends north to south through the entire state. I-25 serves as both a vital link between Front Range communities and as the major nexus for east-west facilities connecting the Great Plains to the Rocky Mountains. Since the first 11-mile segment of I-25 was opened through Denver in 1958, I-25 has undergone near continuous improvement to facilitate the vehicular movement of the state's rapidly growing population. With population growth expected to continue at an aggressive rate into the foreseeable future, the state's infrastructure—particularly I-25—will be pushed to its limit. Why is this stretch of I-25 so important? Denver and Colorado Springs are the two largest, fastest-growing metropolitan areas in Colorado, according to the 2010 U.S. Census. Separated by approximately 70 miles of I-25, these two metropolitan areas generate substantial I-25 traffic—and average daily trips between the two are projected to double by the year 2035. The only remaining four-lane segement of I-25 from Denver to Colorado Springs, the approximate 18-mile stretch between Castle Rock and Monument is referred to as "The Gap." Improving the connection between Colorado's two largest urban areas would deliver great benefits to the health and well-being of daily commuters, the reliability of commerce, and the livability of adjacent Front Range communities. This PEL study is the first step to analyze and address safety, travel reliability and mobility issues. CDOT is focused on developing a clear and supported plan of action for this critical stretch of I-25 and, more importantly, forwarding projects that provide immediate and long-term benefits. What is CDOT doing to advance improvements beyond this study? a field survey of the corridor for use in design. identifying environmental constraints, or permitting requirements that could add time to the process due to lengthy regulatory reviews or other factors. The PEL also seeks to advance early action projects that could improve safety or operations along the corridor, as long as funding for improvements can be identified and those improvements do not preclude a PEL alternative from being considered. What Else Should I Know About this Project? The PEL study is the first step toward identifying and seeking support for immediate and longer-term solutions for this vital stretch of interstate connecting Colorado Springs and the Denver south area. Most importantly, the PEL is a tool for CDOT to study the corridor prior to identifying funding for construction. When funds are identified, this process will best position CDOT to accelerate the environmental analyses required before construction begins. providing a framework for CDOT to engage with local corridor communities, regional travelers, and other interested stakeholders to understand their concerns and ideas for immediate and longer-term improvements. supporting an efficient transition to National Environmental Policy Act (NEPA) processes, final design and construction advertisement once funding is identified. The bottom line: Conducting a thorough and inclusive analysis of the corridor deficiencies, safety and operational issues, potential environmental impacts, and costs and funding options through the PEL process will save time in the long run. The recommended solutions must alleviate transportation problems, reflect community needs and values, and have support. Obtaining support on the best path forward from the public, local agencies, and elected officials is a central PEL objective. What is NEPA and how does it relate to the PEL? The National Environmental Policy Act (NEPA) was originally enacted by Congress in 1970, and establishes a process by which federally funded projects must be evaluated for potential environmental effects prior to approval by the relevant federal agency for clearance to begin construction. Since CDOT uses federal funding to maintain and improve the interstate and state highway system throughout Colorado, any proposed improvement project must first undergo some level of NEPA review, and be granted approval by the Federal Highway Administration (FHWA) prior to commencement of any construction activities. The detailed review under NEPA is called an Environmental Impact Statement (EIS) and it must be prepared on all "major federal actions significantly affecting the quality of the human environment." In some cases, the federal agency can exclude certain projects from detailed review and allow for a categorical exclusion (CatEx). If a project is not categorically excluded, but also is not obviously a major federal action significantly affecting the quality of the human environment, it must be subjected to an "environmental assessment" (EA). This assessment leads either to the decision to prepare an EIS, or to issuance of a "Finding of No Significant Impact" (FONSI). It is anticipated that this project will require an environmental assessment. Approval for the construction phase of the project is also contingent upon a reasonable expectation of funding for the effort. For this reason, CDOT has historically only commenced a NEPA review of highway-improvement projects if the project funding is anticipated to be available. With limited transportation funding, the completion of timely NEPA studies that can be approved by FHWA is an increasingly difficult task. For this reason, FHWA developed the planning and environmental linkage (PEL) process, which outlines a process like the one required by NEPA; yet it does not require a project funding commitment. The PEL process is intended to streamline future NEPA studies, saving cost and time, and allowing for a more efficient consideration of immediate needs and improvements that may not require exhaustive environmental impact review and can be done sooner. Using the PEL process allows us to proceed forward more efficiently with projects as funding is identified, as much of the scoping and analysis done under the PEL process can be rolled into the relevant NEPA process. In the case of the I-25 South PEL, CDOT has received assurances from FHWA that this approach is appropriate and can help to accelerate the NEPA process, and ultimate project delivery. In fact, it is the goal of CDOT to commence NEPA review of the corridor concurrent to some of the PEL study timeline. The PEL is scheduled to be completed in mid-2018, and CDOT plans to initiate the NEPA review by the end of 2017 with anticipated approval from FHWA by the end of 2018. Why doesn't CDOT just widen I-25? What is there to study? Good question! Widening the highway seems like an easy, quick fix to the congestion and delays from traffic accidents, weather, work zones, special events and other factors. But unfortunately, it's a little more complicated than that. Here's the short answer: Before going from four to six lanes on the 18 miles from Monument and Castle Rock—sometimes referred to as "The Gap"&madsh;CDOT has to ensure that expansion doesn't adversely impact traffic or neighborhoods on either end of that corridor. And CDOT needs to know if and how widening the interstate will affect the private and public lands along the corridor. Lastly, we want to design and build a quality project that serves our state for years to come. Here's the longer answer: The interstate both north and south of the 18-mile stretch from Monument to Castle Rock was expanded in separate projects, at various times. When CDOT widened the area north of The Gap, it used projected 2020 volumes. The interstate south of the gap was widened based on projected 2025 traffic volumes. CDOT needs to ensure that improvements on the new project don't cause these adjoining segments to fail. To ensure reliability over time, CDOT has to thoroughly study the issue. Additionally, there is the problem of "if you build it, they will come." At first, highway expansion provides temporary relief. But the improvements also attract new development and growth, as well as traffic diversions from other congested roadways. As Colorado's population continues to grow (nearly 10,000 people are moving to the state every month), an additional travel lane may help, but it may not provide the relief and travel-time reliability users expect. In fact, it could further congest the roadway segments north and south of The Gap. For instance, the $1.7 billion expansion project in 2006 known as TREX has attracted many more vehicles. As a result, there are frequent travel delays and traffic congestion throughout the day, seven days per week, along the stretch of I-25 to the north of C-470/E-470. By conducting a PEL study, CDOT can collect and analyze data that characterize the reliability of travel in this corridor, and assess how proposed solutions address the need to provide a predictable and improved travel experience. The PEL study will also look at opportunities to improve operations in the short term to reduce congestion and provide more predictable travel times for users. By focusing on developing a comprehensive plan that provides immediate and long-term benefits for this critical stretch of I-25, CDOT can implement a plan that identifies immediate, mid-term and long-term projects that address safety, travel, and environmental and funding needs in the corridor. The implementation plan will be developed with corridor communities and other interested stakeholders, who will help prioritize and identify funding sources for recommended improvements. Why does the PEL study extend north through Castle Rock to C-470? The PEL study limits extend north to the I-25/C-470/E-470 interchange in recognition of the corridor travel pattern between Colorado Springs and the Denver metro area, the significance to regional mobility of maintaining a seamless connection between C-470/E-470 and I-25, and the importance of maximizing the substantial transportation investments underway and planned for these highways. The I-25/C-470/E-470 interchange connects the Colorado Springs and Denver south communities to significant regional destinations, including the I-70 mountain corridor and Denver International Airport. Additionally, traffic volumes between Castle Rock and C-470 are the highest within the study corridor, and improvements through this stretch were built to address 2020 traffic projections (essentially today's volumes). Continued growth in this area affects or could be affected by improvements in the Gap section. How far south do the PEL study limits extend? The southern study limit for potential physical improvements begins at Monument, recognizing that the immediate stretch of I-25 between Monument and Colorado Springs was widened from four to six lanes in 2014. However, the study acknowledges the significant travel influence of the Colorado Springs and El Paso County areas on I-25, so the study will consider the travel demand from areas south of Monument. larger improvements, such as added capacity (tolled and/or non-tolled lanes) for short or long stretches of the interstate. gathering user experiences and input regarding the specific issues within the corridor. When does CDOTanticipate finishing the PEL study? The PEL study is anticipated to be fully completed by mid-2018. By mid-2017, CDOT anticipates having a range of alternatives, some of which may be advanced if funding is identified, even as the PEL study is continuing. Examples of early actions include design survey, geotechnical investigations, permanent or pilot safety and/or operational improvements, and early design of high-priority improvements. What are the Next Steps to Improving I-25 South? What comes after the PEL? CDOT announced the PEL in January to identify immediate and longer-term solutions to congestion and safety concerns along this vital stretch of highway. The goal is to have a project ready for construction, if funding is available, by summer 2019. How do we fund the project? CDOT is doing its part to get this project ready for construction in two years, and conversations among federal, state and local policymakers are happening in parallel to help identify construction funding. When will Colorado Springs have regular bus service back and forth between Denver? It exists now, in the form of Bustang. Bustang was started in July 2015, and has 7 round trips per day between Colorado Springs and Denver. When will there be Bustang Service on the weekends? CDOT doesn't have a definite time yet. In 2016, CDOT tested two ideas relevant to Colorado Springs: (1) Bustang to Broncos, which was very successful, and (2) weekend service targeted at college students. The latter test was done with CSU on north I-25, but might be applicable to Colorado College and/or University of Colorado Colorado Springs (UCCS) groups as well. Does Bustang go to DIA? No, not directly. It does, however go to Union Station, where it is possible to connect via the University of Colorado A-Line to DIA. The entire trip, with a transfer at Union Station would take a little over 2 hours, and cost about $21 per person ($12 Bustang Colorado Springs to Denver Union Station, $9 train fare from Union Station to DIA). Approximately half is funded from state FASTER dollars which come from license plate / vehicle registration fees. The other half is paid by passenger fares. How much subsidy is there of the cost of Bustang trips? As a whole system, including all three routes, Bustang is just above 50% fare recovery. Fifty percent of the operating costs are paid by fares. It's higher on the I-70 Mountain Route(73%), and a little lower on the I-25 Routes (40%). Why should my tax money should fund transit? All public transportation, including Bustang, and including the state & interstate highway system is funded by taxes. In that sense all of the highway system is "subsizided" by taxes too. Bustang uses the highways and takes some of the congestion pressure off of the highway system, so it serves a highway purpose. Every person is entitled to their own opinion about what taxes should and should not fund. The purpose of the public meeting is to understand the whole opinion of all the residents of this corridor, and how future improvements should be funded. Is commuter rail really feasible between Colorado Springs and Denver? Two answers. From a technical perspective, yes. Many versions of passenger, commuter, and high(-er) speed intercity rail exist around the U.S. and around the world, all examples from which Colorado can learn. Financially, current funding levels and funding streams in Colorado are not sufficient to pay for commuter rail. How far south does light rail go now? Light rail currently operates south from downtown Denver to Lincoln and I-25 near Inverness. RTD is in the process of extending the Southeast Corridor line to Ridgegate and I-25, expected to open in 2019. Will light rail be extended south to Colorado Springs? Light rail, as a one of many train technologies, has a maximum speed of about 55 to 60 mph, and stations are usually 1-3 miles apart. It would be inconvenient to passengers on a 70 mile trip to make 20+ stops along the way. Can we place trains similar to those used for the University of Colorado A-Line between downtown Denver and DIA? Commuter rail, as one of many train technologies, has a maximum speed of about 80 mph, and stations are usually 5 to 10 miles apart. This would be a more appropriate technology for the longer corridor between Colorado Springs and Denver. With relatively few stops in-between, an 80-mph train would come close to a car, in un-congested conditions, traveling 65-75 mph. Who is working to advance the ideas of passenger rail between Colorado Springs and Denver? The State Legislature just passed a law, going to the governor for signature in the next few weeks, creating a Front Range Rail Commission, comprised of appointed officials from along the I-25 Front Range corridor. A member of the Pikes Peak Area Council of Governments (PPACG) will have a seat and likely be appointed by July. In addition, advocacy groups like Colorado Rail Passenger Association, also known as ColoRail, are engaged in the issue. Can CDOT build passenger rail? CDOT has the legal authority to construct and operate passenger rail. Current law around the gas tax means that CDOT only has enough money to maintain the existing system. The vast majority of those funds are specifically dedicated to highway maintenance and highway construction. CDOT has the authorization to use a very limited amount of gas tax dollars for transit, such as Bustang. It allows CDOT to take a little congestion pressure off the highway system with transit, but it is not of a scale sufficient to fund commuter rail construction. Is there support for commuter rail? The public opinion seems to be split in about thirds. (1)There are about one-third of people who think that CDOT should be a lot further along in planning for or having constructed commuter rail already. Front Range commuter rail has been considered for over 20 years. (2) About one-third of people think that commuter rail could be a reasonable option, depending on how expensive it is and how it gets funded. If it was there, and wasn't too expensive, people might use it to go to Broncos or Rockies games, commute by train if it was going where they are going, and to have as an option to driving when it snows. (3) About a third think that transit just won't serve their lifestyle, where they travel, and it therefore should never be built, and is a waste of money. How expensive is commuter or intercity rail between Colorado Springs and Denver, and is that even reasonable? Estimates between the two cities range between $2 Billion and $6 Billion in 2017$. Fort Collins to Colorado Springs estimates are in the range of $4 Billion to $12 Billion. That range is reflective of a very big difference in speed and peak-only vs. all-day service. To put things in perspective, DIA cost about $5 Billion to build, FasTracks rail system in Denver is in the $6-$7 Billion range, and CDOT has plans to spend $3 Billion or more on highway expansions in the next 10 years. Commuter rail being in the billions of dollars is not unreasonable compared to those examples. Where Colorado residents choose to spend the money, and how much on transportation, education, healthcare, and so-on, is the real question. What does it mean when we say that Colorado will grow from 5 Million to 8 Million persons by 2040? And what does this mean in terms of highway infrastructure and transit? The I-25 Front Range perspective is this. Fort Collins to Pueblo is currently just over 4 million persons. The I-25 Front Range corridor will add 2 million people alone, or the equivalent of about three more Colorado Springs metro areas. Where voters and resident's pocket books seem to be right now suggests that managed lanes with tolling, and Bustang express bus service in those lanes, is more likely. The State Legislature killed H.B. 1242, meaning that there is not any new funding for transportation either highways or transit, unless citizens put something on the ballot though a signature-initiative process. Bustang service in a managed lane would improve the travel time advantage, managed lanes give people a chance to choose what lane to travel in, and both improve the immediate problems of safety, accessibility, and reliability caused by narrow shoulders, insufficient emergency vehicle access, and un-predictable travel times, respectively. This type of solution, for transit, is a "stepping stone" or "building block" approach to something that could evolve into commuter rail in the more distant future.